Recently a colleague and I had a discussion about glyphosate and how I’m seeing success (backed by testing) at removal with specific products and protocols. This is something I have spent years studying and trying to perfect because of the effects on our shikimate pathway. Seeing as 50% of the population appears to have MTHFR mutation or MTR, MTRR (like I do) which means methylation issues on some level. Does this mean a definite answer cute and dry? No. One thing’s for certain, it is something to be paying attention to. When these mutations are present you are not detoxing heavy metals like aluminum, mercury and other heavy metals. It looks a little like this… MTHFR mutations can be effected in ways which are quite concerning, does it cause the genetic mutation to become active? Is it a cause in general? Does this happen in-utero? The data is very iffy on all of this but at the end of the day glyphosate impares this specific pathway disabling important detox mechanisms within our body. 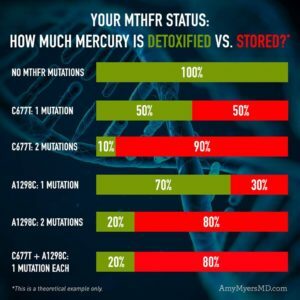 MTHFR and its effect on heavy metal detox. 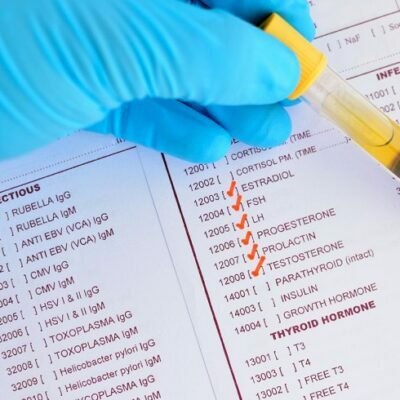 I’m not saying that this is a gene mutation that can be turned off (like some cancer genes) but you can help your body do what it needs to properly detox. I use specific supplements like Zeolites (Advanced TRS). What the heck are zeolites? These are nano particle zeolites to be exact. This is one of the best ways to remove toxins, heavy metals etc from our body. clinoptilolite zeolites remove mercury, aluminum, lead, chemical toxins like gmo/glyphosate, arsenic and other radioactive toxins including free radicals. It increases levels of nutrients that we need such as iron. They test at 0.9 nanometers (yup it’s verified by standard particle measuring equipment. The next step is adding in Shilajit and just to be clear the one in the highlighted link is the ONLY one I trust. Shilajit’s minerals help to maintain the body’s optimum energy metabolism rate which naturally slows down with age. This is achieved partly through balancing electrolyte levels, and by burning off excess fat. Ayurveda practitioners tout its ability to balance hormone levels that change and cause stress as we age. The is Fulvic and humic acids are key to eliminating GMO’s. They act like chelators to dig deep and lift the chemicals out of the tissue. Many common health issues can be traced to mineral or nutrient deficiencies. Fulvic acid is well known supported by tons of research to improve absorption, as a modulator and a chelator as well as much more. Another key to this protocol is proper probiotics. GMOs tend to alter bacterial balance within the gut, supplementing with probiotics and probiotic-rich foods — these include things like celery, raw sauerkraut, kefir, non gmo miso soup, fermented vegetables, and blue-green micro-algae — is absolutely vital for protecting your body against the harmful effects of GMO exposure. In conjunction with the other cleansing protocols mentioned here, supplementing with high-quality probiotics will help ensure that your digestive tract remains free of toxins. Lactobacillus is a key one in this case to get rid of the chemicals you need gone. It is also resistant to HCL (stomach acid) and isn’t heat sensitive how cool is that? It survives the journey to get to where it’s needed and is the fastest at recolonizing the gut. If you only do those 3 things you would be seriously ahead of the game, but adding in the rest of my protocol just ups your health chances. I customize this and add/remove based on your health history. You can schedule a session here. Want to know what your levels of glyphosate are within your body? 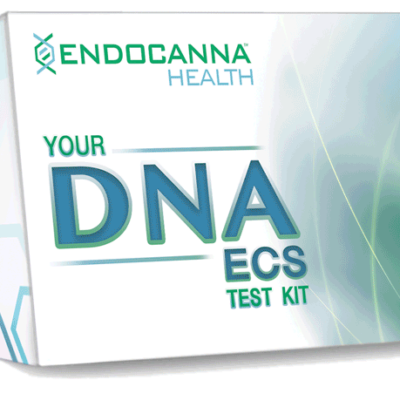 Watch for our specific testing coming soon! !